Turn a wine bottle into an attractive oil lamp. 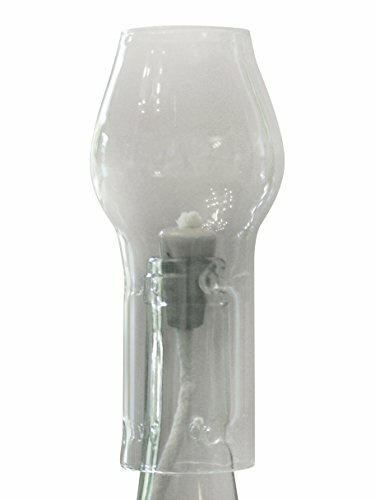 Use this glass flame protector, ceramic of Marble insert, and 12 inch long cotton wick to turn a wine bottle into an attractive and mood-setting oil lamp. Fits bottles with a standard sized opening (5/8" to 3/4"). If you have any questions about this product by Winelight, contact us by completing and submitting the form below. If you are looking for a specif part number, please include it with your message.